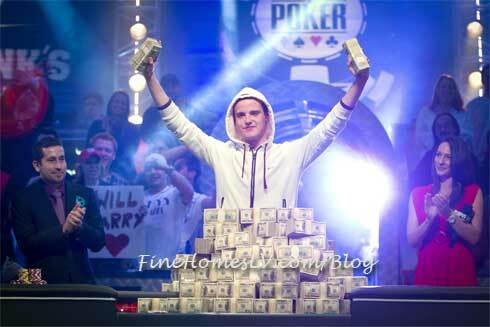 Pius Heinz, of Cologne, became just the second German ever to make a Main Event final table. His unprecedented first-place finish earned him the most coveted trophy in all of poker – the World Series of Poker gold bracelet – and ( U.S. ) $8,715,638. Heinz bested a total Main Event field of 6,865 players from 85 different nations in ages ranging from 21 to 91 to capture the title. When play began Tuesday in Las Vegas, Heinz was a significant chip leader. Through the hours that followed, the lead changed hands multiple times, until Heinz sealed his victory about 12:15 a.m.
Staszko, who collected $5,433,086 for his second-place finish, also made history as the first poker player from the Czech Republic to make a final table. The 35-year-old poker pro resides in Trinec, near the border with Poland. Both players outlasted Ben Lamb, a 26-year-old poker professional from Las Vegas and Tulsa , who was eliminated in third place. Lamb took home $4,021,138 as a consolation prize. The dramatic conclusion to this year’s World Series of Poker Main Event was carried nearly-live – with a 15-minute delay – on ESPN.